Four of the most avoided fighters in the United Kingdom return to action on Frank Warren’s first card of 2018 at London’s Copper Box Arena on Saturday 10th February, live on BT Sport and BoxNation. 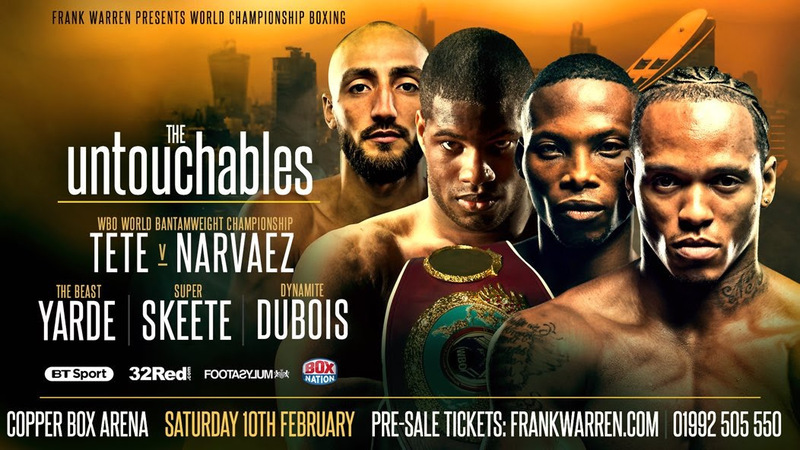 Promoter pre-sale tickets for ‘The untouchables’ are available now from www.frankwarren.com and on 01992 505 550. Tickets priced at £50 (Lower Tier), £70 (Floor), £100 (Floor), £150 (Floor) and VIP/Hospitality £250 are available via See Tickets, Eventim and Ticketmaster on Wednesday 20th December at 12.00 noon.